Chip Gaines opens up about the end of "Fixer Upper" in a new interview. 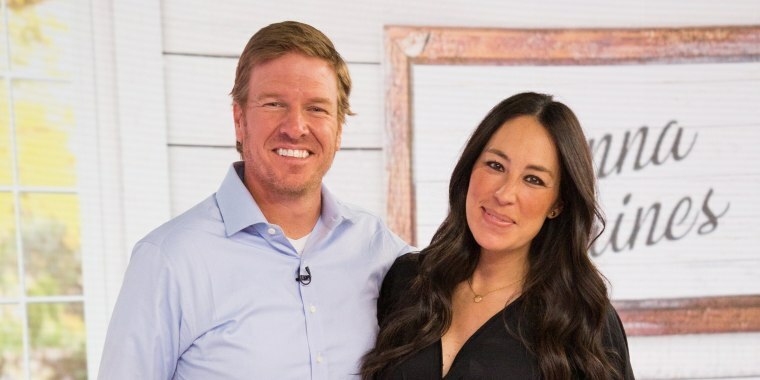 "Fixer Upper" fans mourned the end of an era when Chip and Joanna Gaines said so long to their HGTV series, but those same fans may be surprised to learn that the shiplap-loving couple wasn't so sad to put the hit show behind them. In fact, even though "Fixer Upper" made them household names and gave the duo a platform that put their Magnolia brand on the home-improvement map, Chip now says that the small-screen experience went from fun-at-first to confining by the final season. "TV was a funny thing for me," he revealed during an cover interview for the January issue of Cowboys & Indians magazine. "I’m an authentic, sincere person. So, as long as things are natural and organic, I’m in my element. But the more staged something becomes, or the more required something becomes, it boxes me up, and I felt like toward the end of the 'Fixer Upper' journey, I felt caged, trapped." He and his on-and-off-screen partner found the feeling confusing — until he realized it was all about that authenticity issue. "Jo and I couldn’t figure it out," he continued. "I mean, why? You’re getting to have all this fun, right? But it’s like if I put a camera in your face and said, 'Hey, say something funny.' Or if I put a camera in your face and said, 'Hey, be smart.' I just struggled with that environment. Especially at the end of it." In the interview, Chip referred to the first three years of their five-season run as "so fun," and "some of the best years" of his life. But things changed, and not just for him. Joanna felt it, too. "The last two years, not that we don’t look back on them fondly, but they were more of a job," he explained. "So, something about breaking out of that has been liberating. Jo and I are both just kinda giddy, just like, 'Man, what’s the future look like and what’s the next step?' Because we’re both business people, and that’s fundamentally who we are." Since the "Fixer Upper" finale, the focus for Chip and his interior-designer wife has been a balancing act between growing their Waco-based business and growing their family — they welcomed baby No. 5 in June. They've even hinted about a baby No. 6 one day. But what about a new addition where television is concerned? "What the TV future looks like is a big, fat question mark," he said. But he and Joanna recently offered up an answer to part of the TV question. Right now, their plans don't include returning with a new show — they're aiming to launch a new network. After they shared a few details about that during a November visit to "The Tonight Show," a spokesperson for Magnolia confirmed the big news to TODAY.